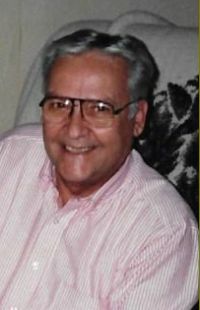 H. Dean Yoder, 89, of Cambridge, passed away peacefully in his home on Thursday, April 4, 2019. Private graveside services will be held on Wednesday, April 10th, at Park Lawn Cemetery, Danvers, Illinois. There will be no visitation. Stackhouse-Moore Funeral & Cremation Services, Cambridge, is assisting the family with the arrangements. Harlen Dean Yoder was born March 31, 1930, in Danvers, IL the son of Russell A. and Gladys J. Otto Yoder. His mother passed away in 1937, and Russell later married Audrey Weishaar. They had five sons all together. Dean was president of his Senior Class and graduated from Danvers Community High School in 1948. His marriage to Phyllis J. Smith took place on August 3, 1952 at the First Presbyterian Church in Danvers, IL. She passed away February 12, 2015. He was a farmer, milked cows, had his own real estate business, and was an auctioneer. Dean moved to Cambridge in 1987 and enjoyed owning and racing harness horses. He also enjoyed keeping up with farm auctions and land prices. He always had a smile and had so much love for his family and was always proud of their accomplishments. Those surviving are four sons and daughters-in-law, Rick Yoder, Ankeny, IA, Phil Yoder, Mt Ayr, IA, Brett and Debbie Yoder, Mt Ayr, Chad and Robin Yoder, Osco, ten grandchildren, and nine great grandchildren. Other survivors include his step mother, Audrey, and a brother, Daryl, and several nieces and nephews. He was preceded in death by his parents, a son, Douglas Yoder, three brothers, Dale, Donald, and Duane Yoder, and Phyllis Yoder.